One of the outstanding relatively new Paso Robles projects, Caliza is Spanish for "limestone", which is connects the name to the 20-acre Caliza vineyard. The vineyard is predominantly comprised of hillsides with south-facing slopes which leads to maximum sun exposure.. Set at 900-1200 feet above sea level in Templeton Gap area, the vineyard faces strong diurnal shifts which creates some nice tension in the wines. 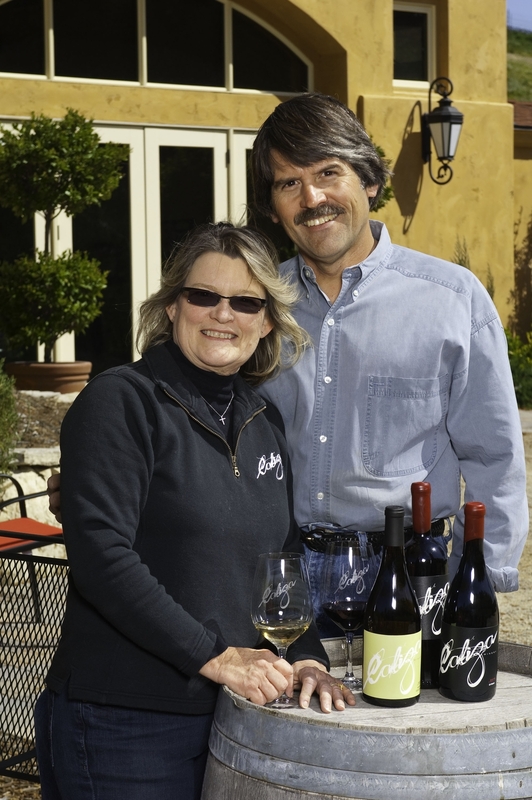 Caliza is spearheaded by Carl and Pam Bowker, who planted near L’Aventure and Booker. This was clearly a smart investment. Carl Bowker graduated from Napa Valley College’s Viticulture and Enology associate program in 2004. One year later he purchased this exciting site. His wines were excellent across the board. One of the best Rose wines out of Paso, the 2016 Caliza ‘Pink Wine’ Rose (WWB, 91) has marvelous tension and purity of fruit. This is the perfect wine for the last few warm days. I was very impressed with the 2014 Caliza Syrah (WWB, 93) which has marvelous weight but also wonderful tension. This great wine will cellar marvelously for a decade or more. Learn more about this great Paso Robles winery at https://www.calizawinery.com Here are the great new wines by Caliza.